Reiki is a spiritual technique for channeling, receiving, and transmitting the Universal Life Force. It restores the harmonic flow of your individual energy, recharges your personal integrity and centerdness, reconnects you with the Whole, and gives you impulse for your coming evolution. The transmission is by physical contact - hands are gently placed on your physical body - and metaphysical contact, using the Sacred Reiki Symbols. You reach deep dimensions of meditation and balance, intimacy and pleasure, and absolute union with the universal. 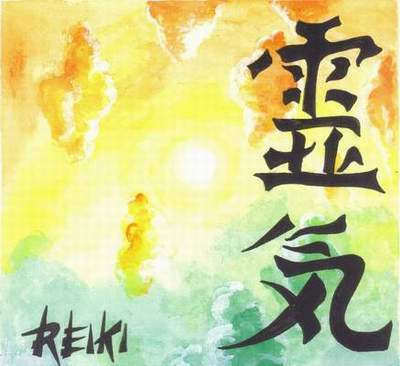 Reiki is a foundamental discipline if you're searching for spirituality and enlightenmet. The standard session lasts one hour and you receive it in a confortable and peacefull relaxation. The complete learning of the Reiki technique comes in three degrees of seminar. 1st Level: the material dimension of the Universal Life Force. You receive the first four activations necessary to open your Reiki channel. I teach you the practical method of self-treatment and treatment and all physical and energetic positions. I prepare you to be in a state of meditation during the channeling and transmission process. I help you understand the underlying and unique cause of any discomfort or unbalance. The required time is two whole days or four sessions of 4 hours each that can be arranged as desired. Prerequisites: none. 2nd Level: the metaphysical dimension of the Universal Life Force. You receive the three Sacred Symbols of Reiki. I'll teach you to further increase your Reiki flow with the 1st Symbol; to direct transmission to the planes of emotion and mind with the 2nd Symbol; to operate metaphysically beyond space and time with the 3rd Symbol and to integrate the 1st and 2nd Reiki levels. The required time is two whole days or four sessions of 4 hours each that can be arranged as desired. 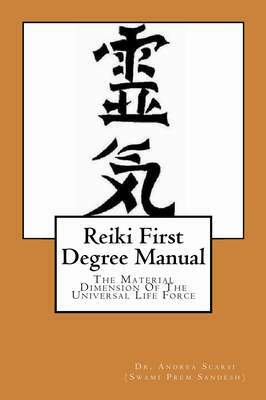 Prerequisites: Reiki 1st level. 3rd Level Master: the didactic dimension of the Universal Life Force. You receive the 4th Sacred Symbol of Reiki; I teach you to generate new Reiki Operators; to propagate the technique; to activate planetary places; to integrate the 1st, 2nd, and 3rd Reiki level. The requested time is two whole days. Prerequisites: Reiki 2nd level. 4th level, Grand Master: the mystical dimension of the Universal Life Force. Prerequisites: the activation of 22 Reiki Masters. Just for today: keep serene, keep calm, be grateful, work honestly, be gentle with others.